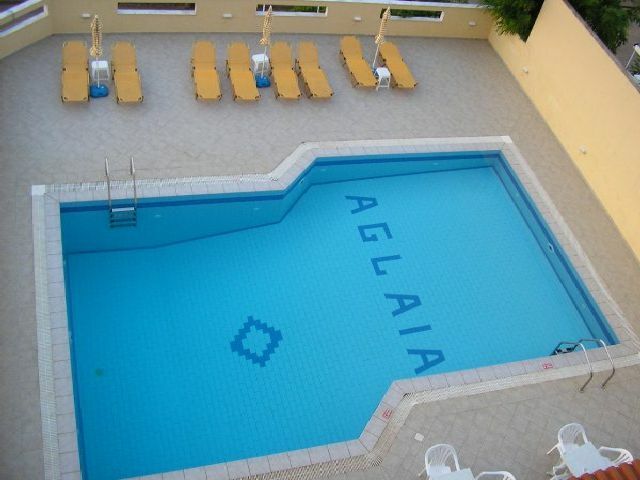 The Aglaia Apartments rests just 200 m from a sandy beach in Heraklion, between the bustling resorts of Malia and Stalis on the island paradise of Crete. Boasting panoramic views of the beautiful Aegean Sea, this independent, family owned and managed 3 Star hotel makes a comfortable base from which to explore this lively area with basic apartments providing essential conveniences. Guests to the Aglaia Apartments can take a short walk to the village of Stalida (only 500 m) and 2 km away is the centre in Malia. The local bus stops right outside of the hotel and stops with an interval of 30 minutes. Heralion Airport is 34 km from the hotel. Local Tips: The municipality of Malia includes the villages Mohos, Krassi and the area of Stalis. Malia is famous for the archaeological sites, and its gorgeous sandy beach, which attracts thousands of visitors every year.